Birdy Photos, News, and Videos | Just Jared Jr.
Birdy Leaves a Bird Cage of Free Tickets for Fans to Find! Birdy rocks some killer eyeliner while performing live in concert on Monday night (October 3) in Hanover, Germany. The 20-year-old “Wings” singer is headed to Leipzig next before hitting up Berlin on her tour. Birdy often leaves random bird cages near her shows with free tickets for fans! “My cage is hanging near the venue in Hanover with two tickets for tonight’s show! Good luck!,” she tweeted before the concert. 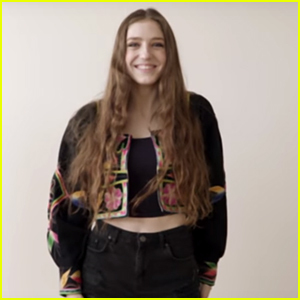 Birdy Debuts Fan-Filled 'Words' Lyric Video - Watch Now! Birdy can’t help but smile at the end of the “Words” Fan Lyric Video she just debuted. The 20-year-old songstress recruited her fans for the fun video, asking them to send in videos of them all passing the sign along to complete the song. 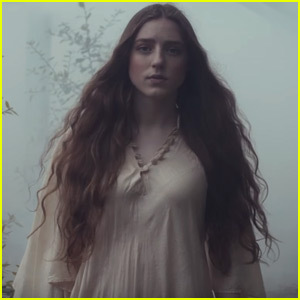 Birdy just released a beautifully shot music video for her single “Words,” off of her new album Beautiful Lies. The video, directed by Bison, follows the 19-year-old songstress through dream-like backdrops as she sings the emotional song. “Here is the official video for Words…I hope you like it! <3" Birdy wrote on her Twitter before releasing the video. Birdy is currently in the middle of the Beautiful Lies North American Tour and will kick off her Asian tour in July, as well as a European tour in September. Maisie Williams keeps it chic in a light pink dress at the 2016 House Of Fraser British Academy Television Awards held at Royal Festival Hall on Sunday (May 8) in London, England. The 18-year-old Game of Thrones actress joined Georgia May Foote, Hetty Feather‘s Eleanor Worthington Cox and Eleanor Tomlinson, as well as musician Birdy. While Georgia is wearing a sparkling diamond ring on her left ring finger, she and boyfriend Giovanni Pernice are NOT engaged. “Right, in Italy he says that when you get a girlfriend and a serious girlfriend you get a ring. So they don’t really do the engagement thing. You just get a ring and it’s like a nice commitment but they have to wear it on that finger,” Georgia explained in a recent appearance. 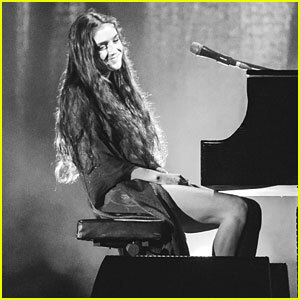 Birdy leans back from the piano during her concert at L’Olympia in Paris, France on Wednesday night (May 4). It was just announce that the 19-year-old “Beautiful Lies” singer will be opening up the 2016 British Academy Television Awards this coming Sunday in London. 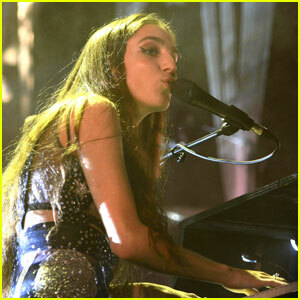 Birdy will be performing her hit ‘Wild Horses’ during the main ceremony. The 2016 British Academy Television Awards will be hosted by Graham Norton on May 8th. Birdy Covers Tracy Chapman's 'Fast Car' at BBC Live Lounge - Watch Now! Birdy looks to be in a hurry while leaving the BBC Radio 1 studios on Monday morning (April 25) in London, England. The 19-year-old British singer hit up the BBC Live Lounge while she was there.